SKU: 103460. Category: Matrix Switches. 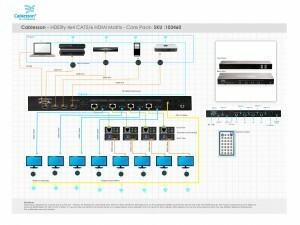 Tag: Cablesson HDElity 4x4 CAT5/6 HDMI Matrix - Core Pack. 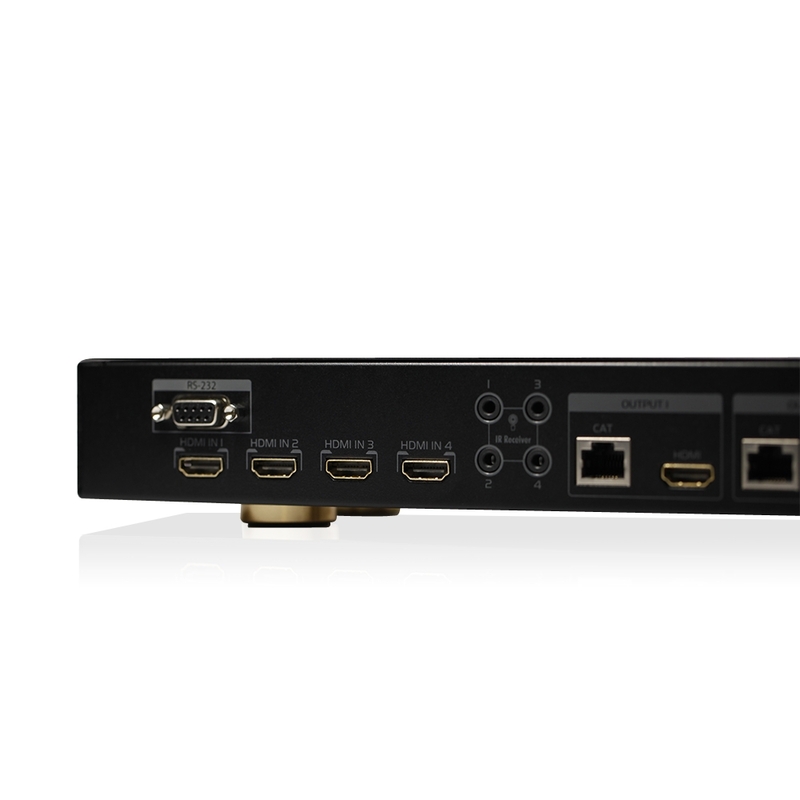 The Cablesson HDelity 4×4 HDMI Matrix uses a single Cat5e/6 output to reliably transmit HDMI signals and bi-directional IR from eight sources to eight displays – up to 130 feet, with full 1080p video and support for Dolby True-HD and DTS-HD Master audio. RS-232 control and HDelity-exclusive EDID setup software included. 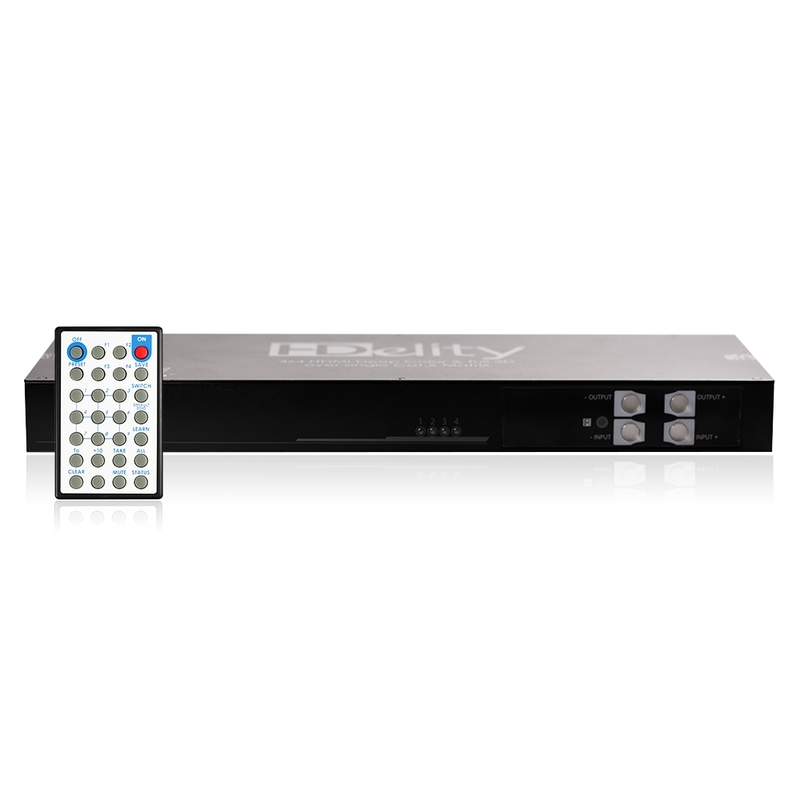 With Cablesson HDElity 4×4 Matrix, each output provides an HDMI output for local display(s), as well as a CAT-X output for longer distances. 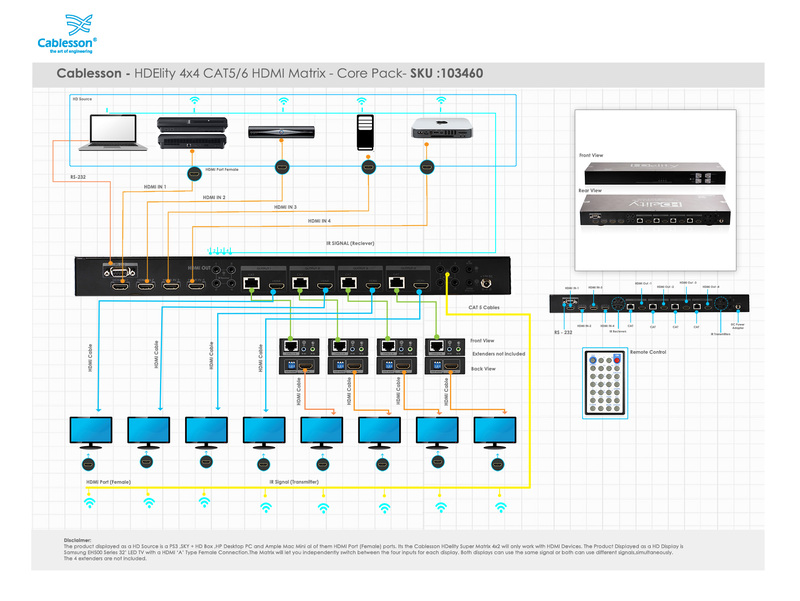 Just pair the CAT-X with the Cablesson HDelity 3D CAT5/6 HDMI Matrix Receiver to achieve distances up to 130 feet; both of these outputs can be used in parallel. 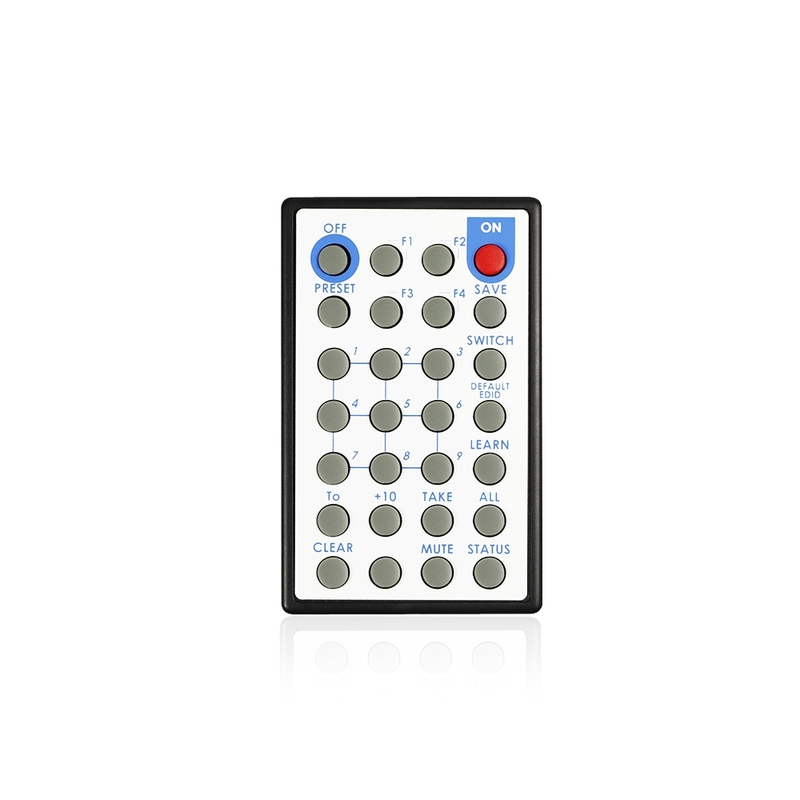 To control the matrix, IR and bi-directional RS-232 are available. 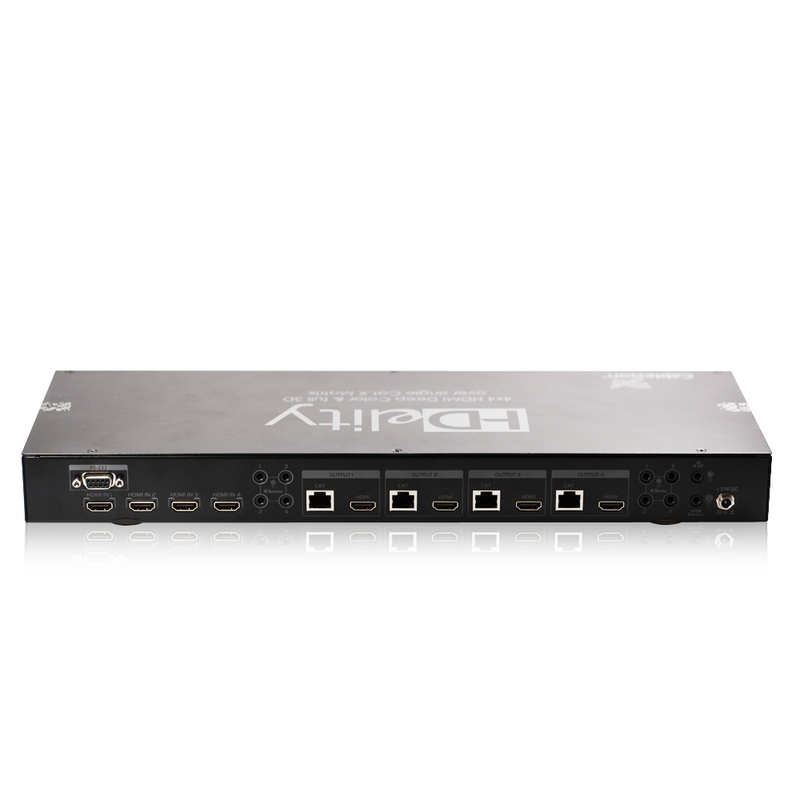 When using the Cablesson HDelity 3D CAT5/6 HDMI Matrix Receiver, the same CAT5e/6 cable that sends HDMI signals can also carry bi-directional IR to and from the room for sophisticated control system applications. For guaranteed performance. 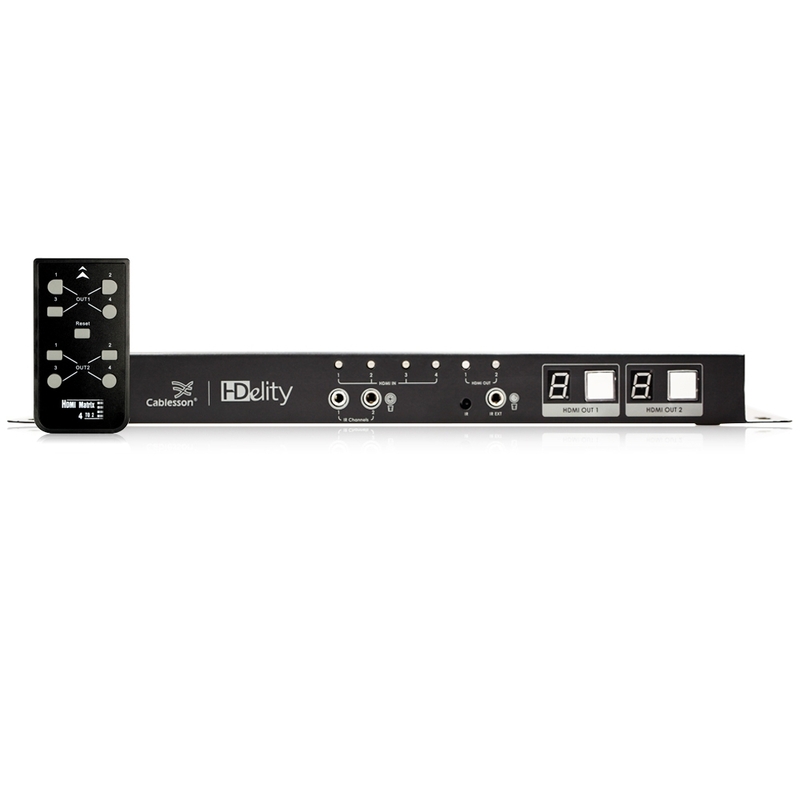 RS-232 control and HDelity-exclusive EDID setup software included. 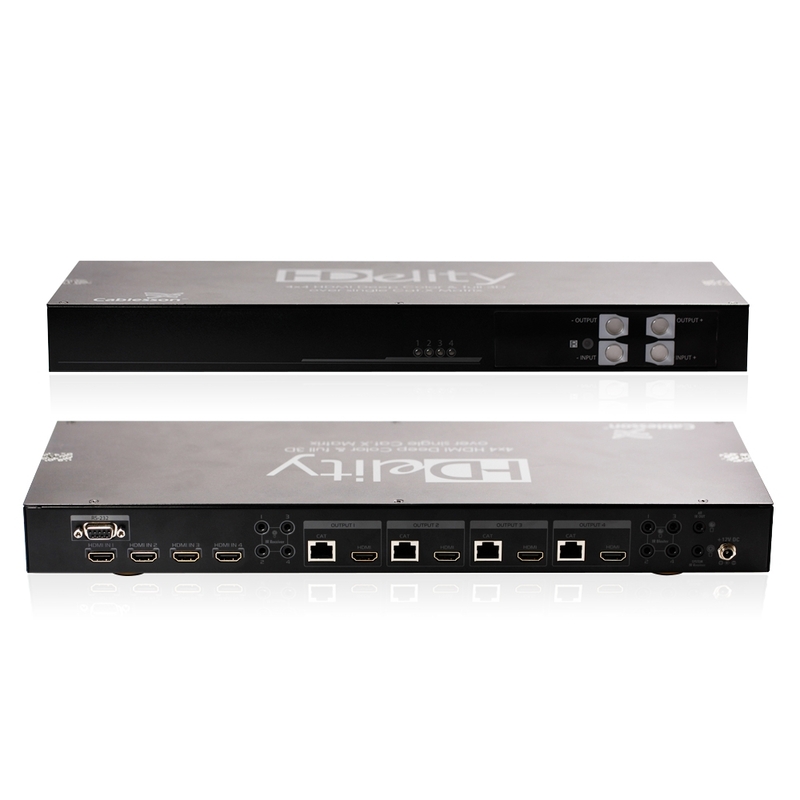 Cablesson HDElity 4×4 CAT5/6 HDMI Matrix is covered with full support of the HDMI (with 3D), Deep Colour (36bit) and HDCP 2.0 as well as support for Dolby® True HD, Dolby® Digital Plus, DTS™-HD Master and LPCM audio formats. 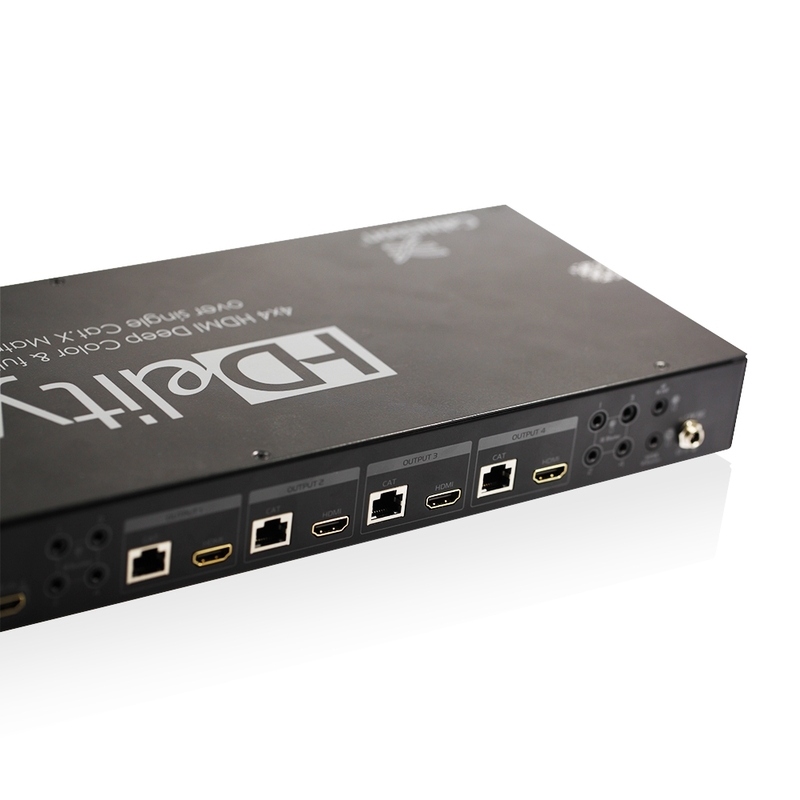 To simplify the syncing process, the HDelity 4×4 HDMI Matrix EDID settings can be configured using the included remote control or convenient PC configuration utility which offers easier management over the EDID settings, test Inputs and outputs, update firmware etc. 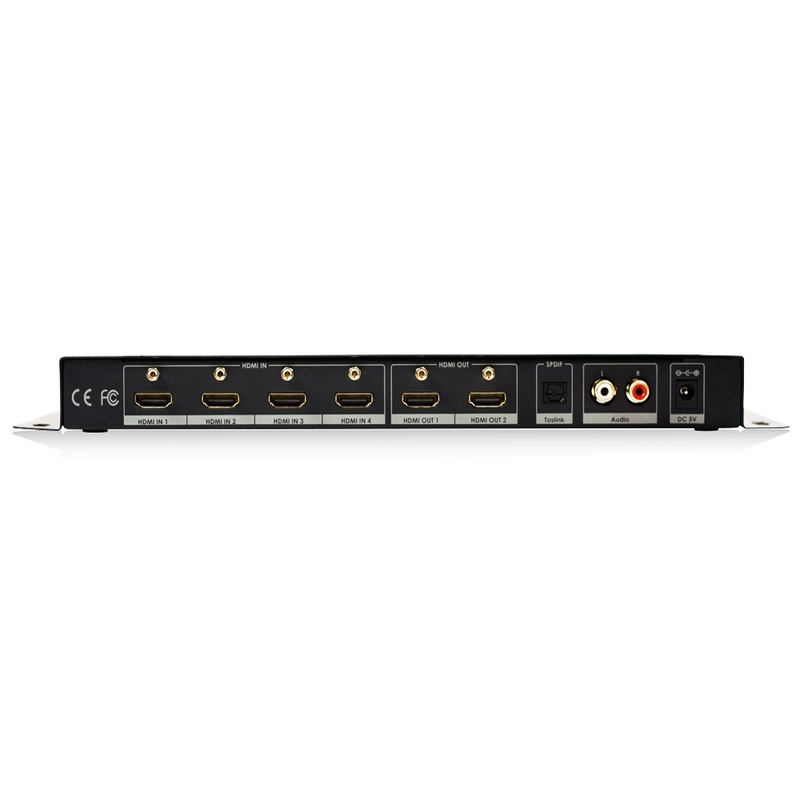 The Cablesson HDelity 4X4 HDMI Matrix uses a single Cat5e/6 output to reliably transmit HDMI signals and bi-directional IR from four sources to four displays – up to 130 feet, with full 1080p video and support for Dolby True-HD and DTS-HD Master audio.